We’ve been forging the future for over seventy years, winning Queens Awards, developing new materials, investing the latest technologies and contributing to the jet engine when it was still a secret project. Our pioneering heritage is part of what makes us great today. It’s the foundation on which we build every day as we forge into the next generation and beyond. 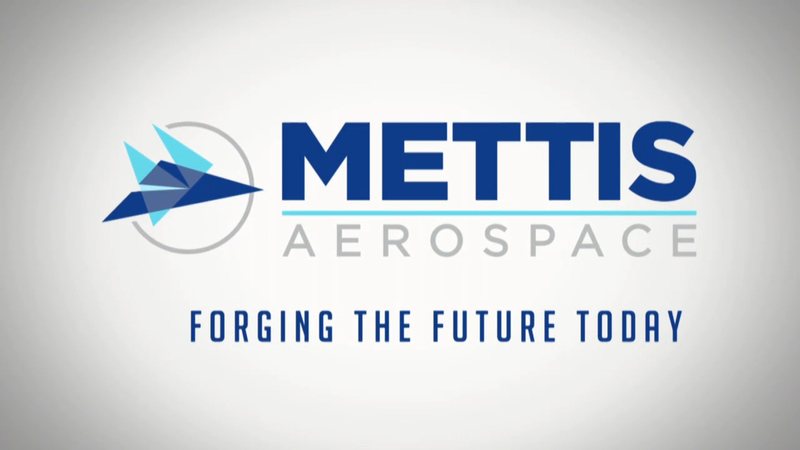 Mettis Aerospace began back in the 1930s as High Duty Alloys (HDA). HDA came into being through the efforts of Colonel Wallace Charles Devereux. From the late 1920s, Devereux became one of the most important names in British industry. Work on the HDA Redditch facility began on 18th October 1938 as commissioned by the Colonel who chose Redditch as the most suitable site to expand HDA’s operations. The site was officially opened by the Secretary of State for Air, Sir Kingsley Wood, on Wednesday 16th August 1939. During the ceremony, Sir Kingsley Wood also inaugurated a remarkable piece of machinery – the Erie hammer. It was the largest hammer in the world, manufactured in the USA and shipped to the UK in sections, with a total weight of 455 tonnes. While opening the site, Sir Kingsley Wood addressed the workers, saying, “I think I can address you as fellow workmen, and I congratulate you on the fine work you are putting up for the country at this critical time. Your work, like mine, is work not for making war, but for preserving peace”. With the Slough forge suffering extensive bomb damage during the Second World War, the Redditch site took responsibility for the majority of Britain’s aero-engine pistons throughout the duration of the conflict, producing over ten million components, including the V-shaped spars that held the bouncing bombs on the Lancaster bombers during the Dambusters raid. Consequently, the factory was often a target for the German Luftwaffe who were keen to disable one of the allies’ vital wartime manufacturers. To combat this threat, anti-aircraft guns were stationed up on the hill by the forge mill. By the end of 1941, HDA’s Redditch site covered nearly 26 acres and employed 1,553 people. With a boom in demand throughout the war, this total eventually exceeded 2,500 with the factory operating six days a week. In 1945, an advance in technology occurred that was to shape the course of HDA’s future; the development of the jet engine. HDA made the first impellors for Frank Whittle’s pioneer engine in what was then a top-secret project. Whittle also wanted HDA to produce blades for the turbine section of his engine made in a nickel alloy, developed by Henry Wiggin, called Nimonic. However, this was such a tough material that machining the final shape proved a problem so the final solution was to forge on a 20 cwt drop hammer. HDA also produced the first forged aluminium compressor blades, which would be installed on the complex axial jet. When the engine achieved international recognition and success, it was evident that the opportunity was there to produce mass quantities of blades. In 1950, under the government-backed “Scheme 100”, the original foundry area in the factory was converted to a specialised blades area with increased manufacturing capacity. Within 15 years, 25 million precision forged blades would be produced and distributed across the world. The early fifties saw the installation of one of HDAs most prized assets that is still in use today: A Loewy 12,000-tonne hydraulic press. The machinery, weighing in at 800 tonnes and standing at a height of 54 feet, was erected at a cost of £500,000. Sir Frank Spriggs, Chairman of the company and Managing Director of the parent Hawker Siddeley Group, inaugurated the press on the 24th February 1953. The sheer size of the equipment meant HDA had to raise the roof of the forge to 87 feet in order to accommodate it. The press had a distinctly unusual quality at this time; three hydraulic pressures could be selected where a forging force of 4,000, 8,000 and 12,000 tonnes could be chosen. This ensured its place as the most powerful press on light-alloy work in the United Kingdom. During this period, the company played a pivotal role in the manufacture and development of Hiduminium, which were a series of high-strength, high-temperature aluminium alloys in conjunction with Rolls-Royce. This was demonstrated at the 1953 Paris Airshow, where eight different Hiduminium alloys were exhibited. The company also showed gas turbine compressor and turbine blades made in the material, as well as a range of HDA products forged from the Magnuminium alloy series. The late 1950’s saw a boom in aircraft production, with civil airliners such as the Britannia and Comet, alongside modern jet fighters and bombers, filling the company’s order books. Expensive titanium, the new “wonder metal”, had replaced the earlier aluminium jet engines and HDA contributed toward pioneering the phenomenon. Production was heavily increased, with the site working day and night to maintain the growing need for forgings by the aircraft and engine manufacturers. Throughout the early 1960s, groundbreaking developments in the aeronautical industry were achieved with the concept of supersonic aircraft. With the reliability of components paramount to the safety of the aircraft and its occupants, HDA played a pivotal role in progressing Hiduminium R.R 58 from a forging material into a form suitable for manufacture in a large quantity as a sheet. A result of this was the development of Concorde’s structure and skin, for which the company achieved recognition when it was awarded the Queen’s Award to Industry for technological innovation in 1969. The company’s forging division also supplied plenty of forgings for the planes airframe and engine. Aerospace was not the company’s only focus as it moved into the 1970s and 1980s; the company forged aluminium wheels in 1982 for Richard Noble’s Thrust 2 World Speed Record car, which achieved a world record 650mph. Continuing it’s exploration into the motor vehicle industry, HDA also used decades of piston-manufacturing experience to produce the components for formula one racing engines for several years. The company revisited the land-speed record arena in the late 90s, when it forged another set of wheels for Richard Nobles successor to Thrust 2, the Thrust SSC. The car broke its predecessor’s record on 15th October 1997, clocking a phenomenal 763 mph, breaking the sound barrier, confirming the business’ reputation as a world-class forging company. Further Royal recognition soon followed. In April 1999, the company was awarded another Queen’s Award, this time for Export Achievement and, as the millennium dawned, so did a new vision for the firm when HDA was purchased by the Mettis Group in September 2000. In October 2001, Marlyn Precision relocated to the Redditch site. This newly-combined format became Mettis Aerospace, a business specialising in the design, testing and assembly of complex forged and machined components. We remain a valuable supplier to industry partners such as Rolls-Royce, Boeing and Airbus. Our components are well established on revolutionary commercial aerospace programmes such as the A350XWB, B787-9, LEAP and GenX. In fact, there isn’t a single commercial aerospace programme that doesn’t feature Mettis forgings and, today, there is probably more forging and machining expertise on our site than anywhere else in the World.